I know there's this cupcakes craze going on. 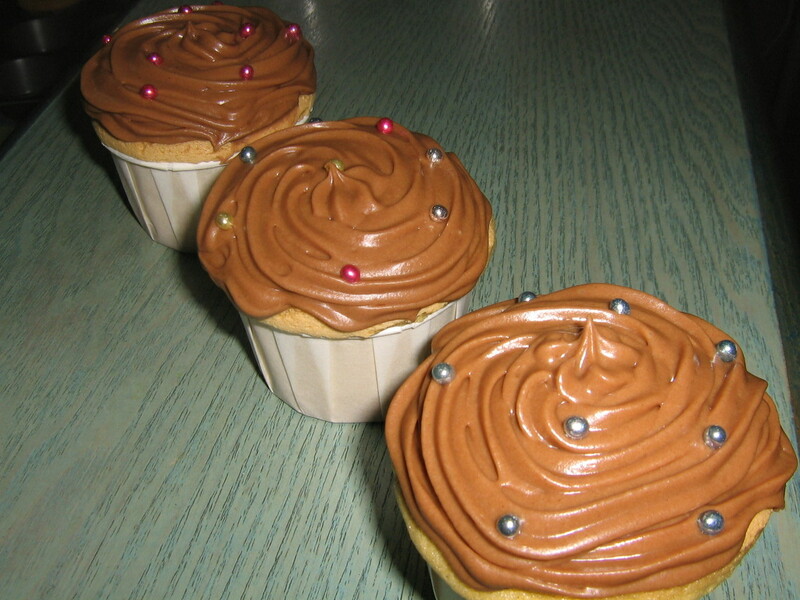 I look at websites, blogs, magazines - and I read about cupcakes. There are surely a yummy little treat. Mix em together using a hand whish till they are smooth. Then pipe em on top of the cupcakes.